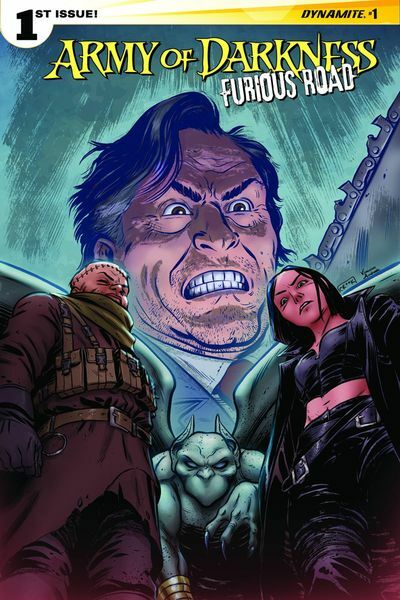 EDITOR’S NOTE: This reviewer read an unlettered proof of ARMY OF DARKNESS: FURIOUS ROAD. it is now known that this is not a ‘silent’ issue. The new, Updated TRIPLE SHOT below! in this week’s Triple Shot! 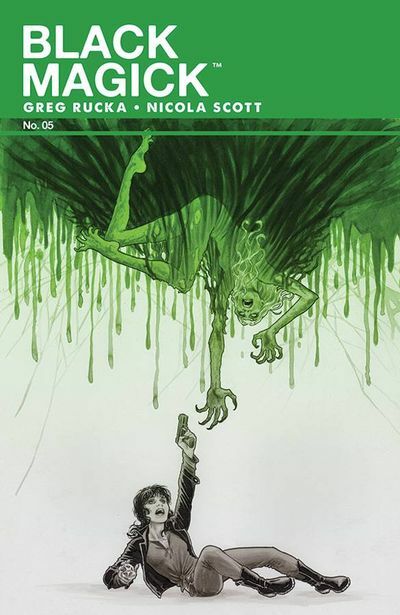 Rucka and Scott finish up the first volume of Wiccan detective story Black Magick. Street Fighter V with Street Fighter X G.I. Joe #1. I got next game! with Adventures of Supergirl Chapter 3 only on ComiXology! and to release a trade in April. When the trade hits, I’m hoping for more attention to this incredible book. of Rowan Black, a witch on the Portsmouth police department as a detective. I want to marathon The Rockford Files! realistic ladies and is one of the best artists on the shelves today. Color assists on the art by Chiara Arena. about the threats darkening Rowan’s door. cleverly edited by Jeanine Schaefer (formerly of Marvel, now a freelance editor). hologram from The Dark Knight Returns is angling to be president. and looked forward to Ash taking on Hitler. …and then this happened! Dynamite (perhaps the holder of the MGM Army of Darkness license? style look into the future 20 years from ‘now’. This story is set twenty years from whenever ‘now’ is. complete with ridiculous outfits, shaved haircuts and heavily armored cars. Many reviewers (myself included) were mistakenly slipped an unlettered proof. Thankfully we received a new copy of the book for us to revise our review. Sorry about that! previous issues and even a certain Cabin in the Woods. Eva and the Daughter of Dracula enlist Ash to track down the Necronomicon. I guess this is just another tricky day at the Housewares Department at S-Mart for Ash. favorite one starring the guy with the chainsaw hand!